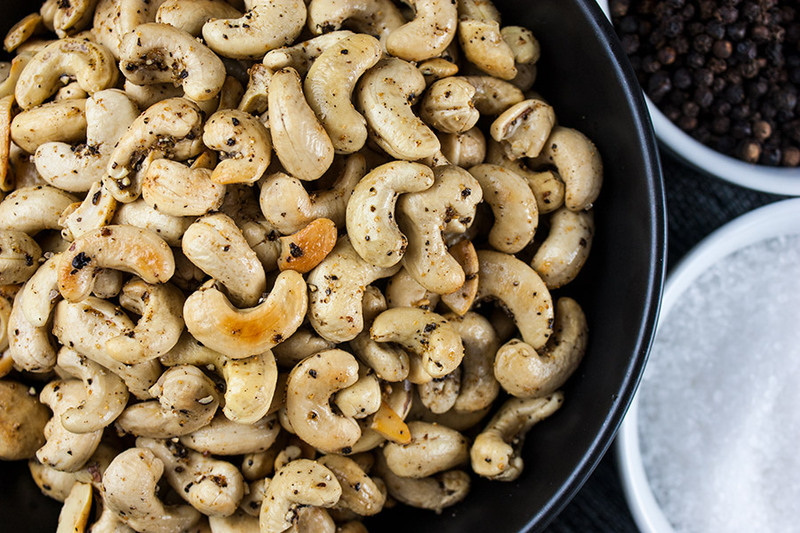 Salt and pepper roasted cashews have become a new favorite snack in our household. I was tired of paying those outrageous prices so decided to give it try at home. 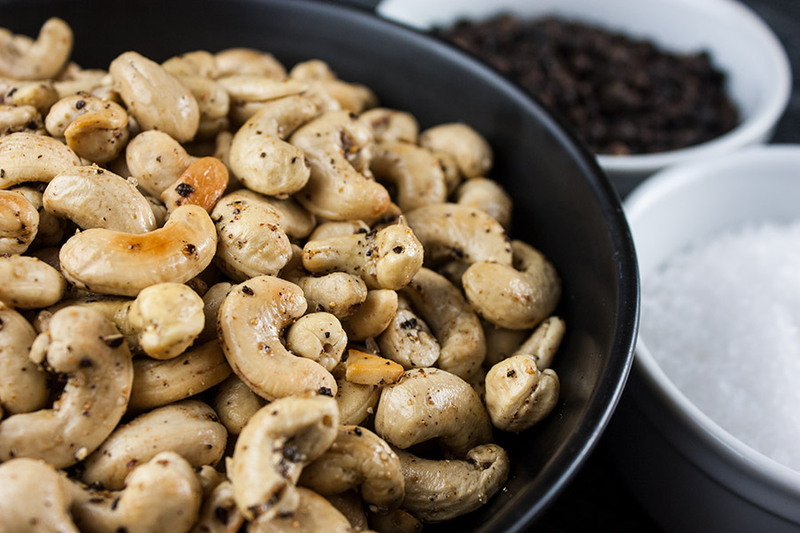 Tantalize your taste buds with these spice-kissed roasted cashews! 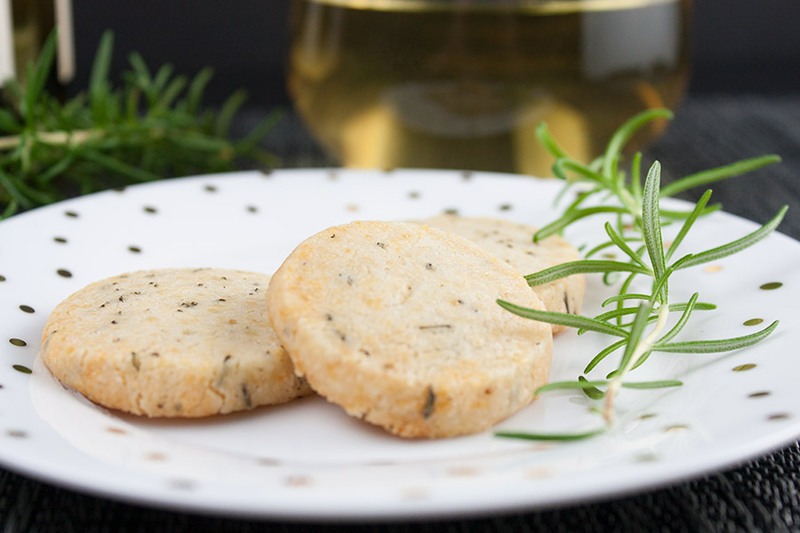 So simple you will kick yourself for not trying this recipe sooner. All you need are raw cashews, sea salt, fresh ground black pepper, onion powder, garlic powder and a little canola oil. Heat the oil in a large skillet over low heat. 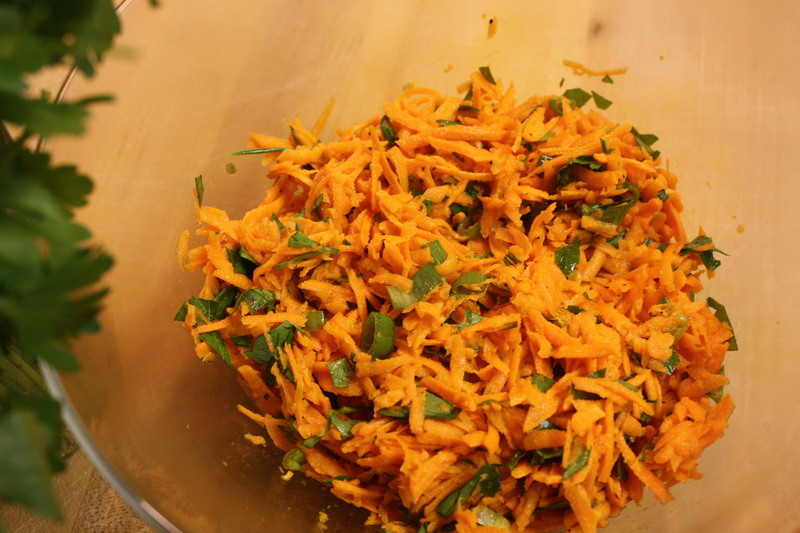 Add the spices, give it a stir and cook until it’s very aromatic. Add the cashews, tossing to coat well and continue to cook until the cashews are blistered and lightly browned. Let cool completely. They will still be slightly soft while they are warm. When cooled they will be nice and crunchy. 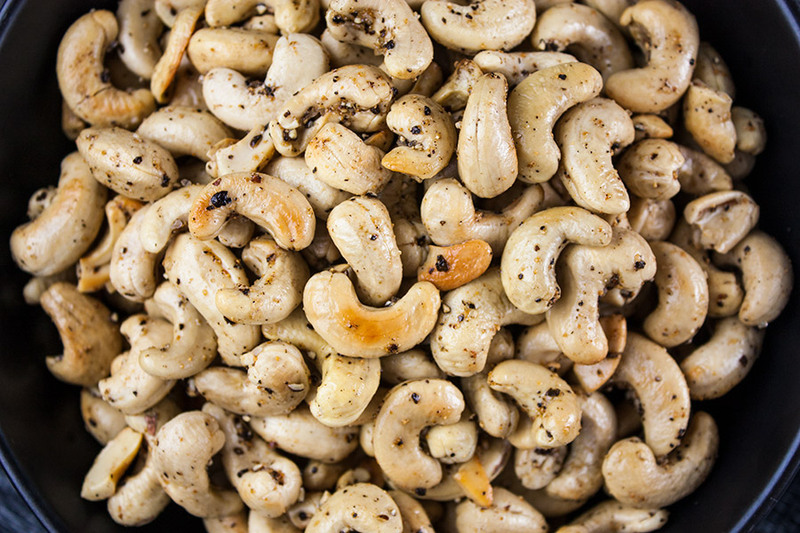 Don’t pay for pre-packed salt and pepper roasted cashews. 100 times better and so quick and easy. 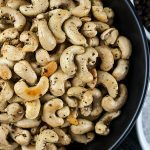 Salt and Pepper Roasted Cashews - Tantalize your taste buds with these spicy roasted cashews! 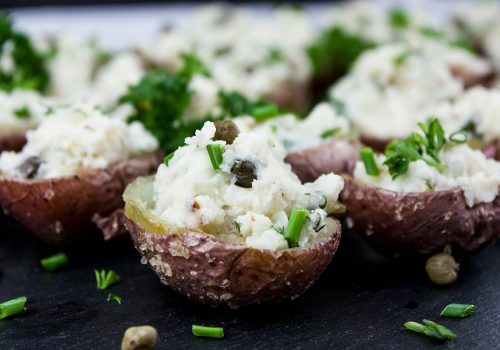 So simple you will kick yourself for not trying this recipe sooner. Warm the canola oil in a large skillet over low heat. Add the black pepper, sea salt, onion powder and garlic powder. Cook and stir until the spices are aromatic about 1 minute. 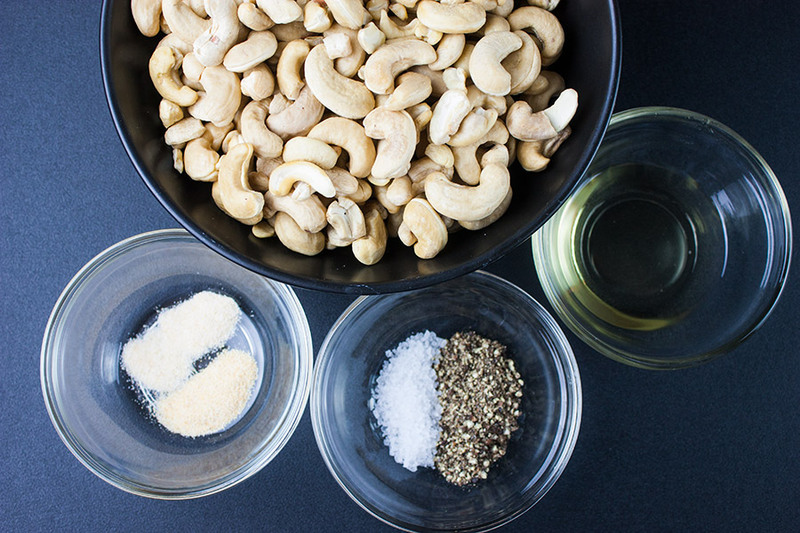 Add the cashews, tossing to coat them well with the spice-infused oil. 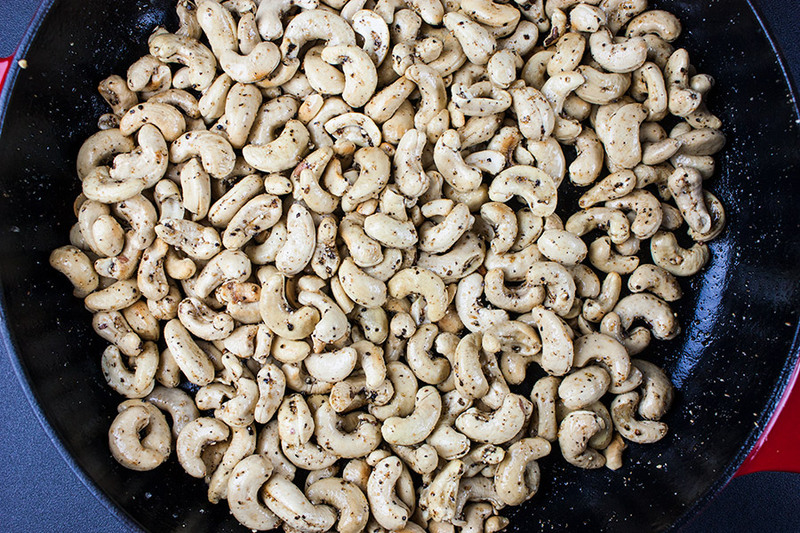 Continue to cook, stirring constantly, until the cashews are slightly blistered and golden brown, about 4 minutes. 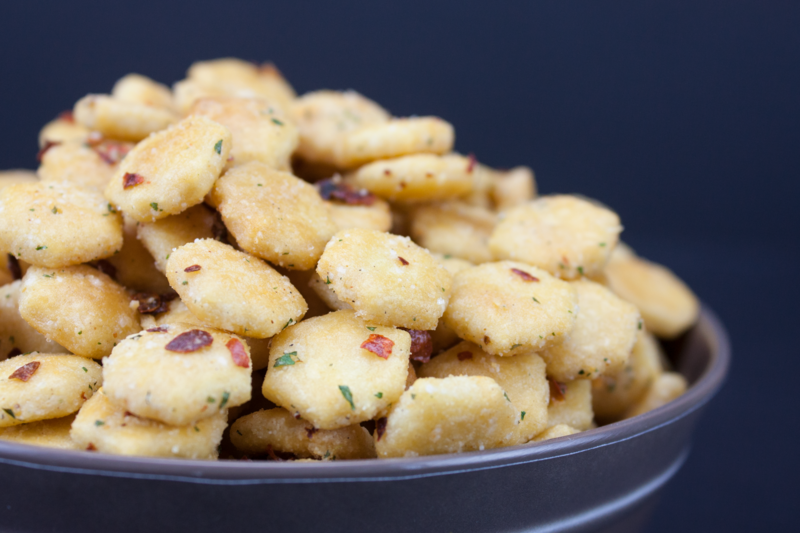 We like them with loads of salt and pepper. Adjust to your taste. 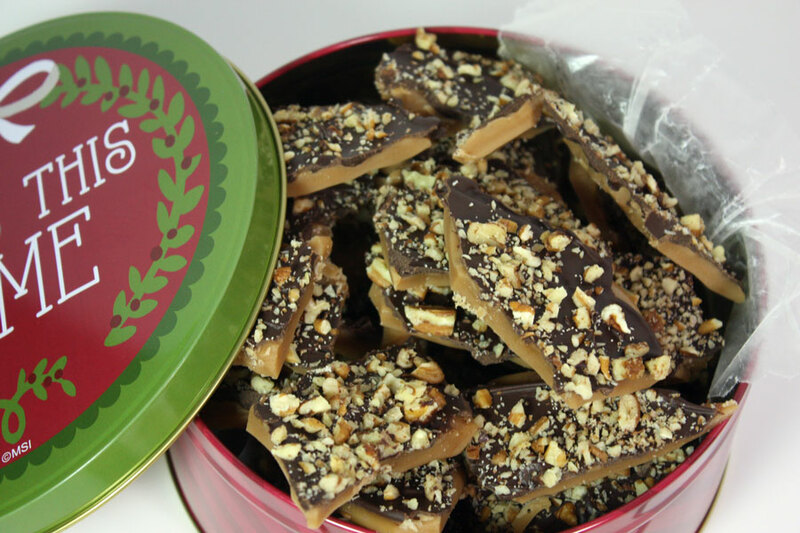 English Toffee Recipe – Perfect for the Holidays! Oh my goodness, Leigh, these look amazing! 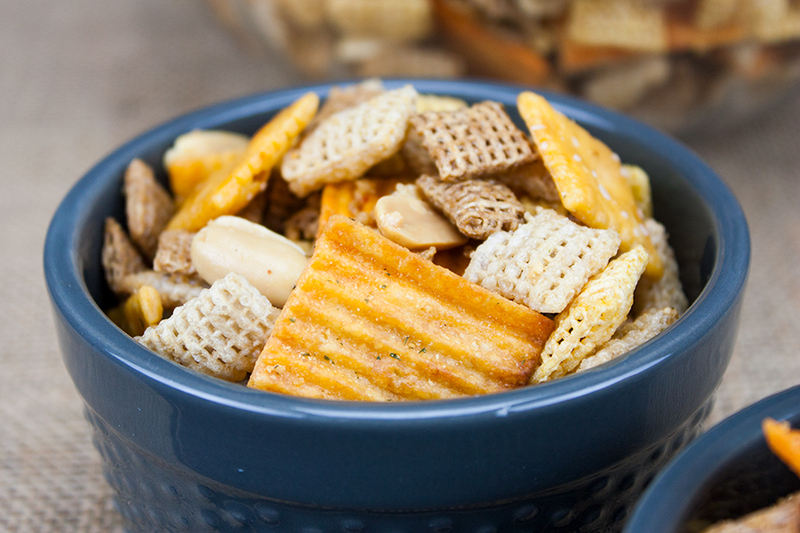 I adore cashews and the seasonings you have used are making my mouth water. Scheduled to pin. Thank you so much for sharing with Hearth and Soul. 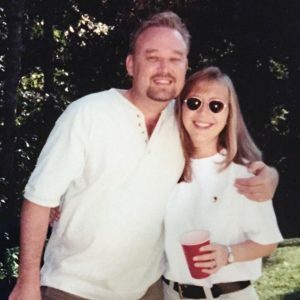 Hope to see you at the party again this week!